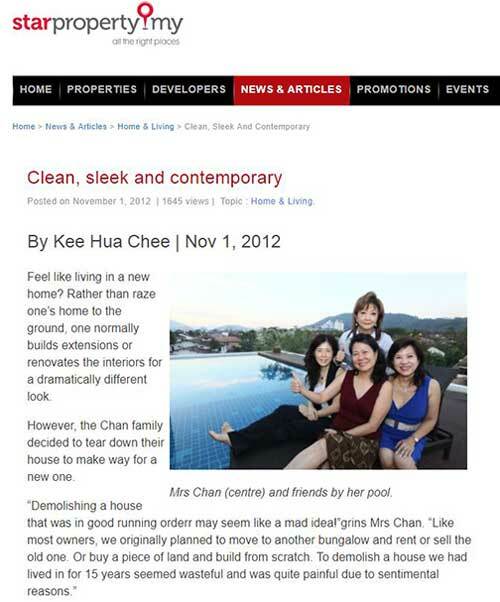 Starproperty My featured Mrs Chan’s 10000 square feet bungalow house that has been beautifully designed by Yuan Design. The photographs displayed the clean, sleek and contemporary interior design of Mrs Chan’s bungalow. It also captured the friendship of Mrs Chan and the interior designer Zessie Li from Yuan Design as shown in the article where Mrs Chan can be seen smiling and delighted with her new house.